Add a touch of professionalism to your next convention, expo or job fair in Buffalo Grove, 60089 with quality equipment. Indestructo Party Rental is a Chicago area rental company providing a full line of exhibit booths, equipment and services. Rent a Pipe and Drape system to create one exhibit booth or hundreds, as a stage and speaker backdrop or to conceal unsightly areas. 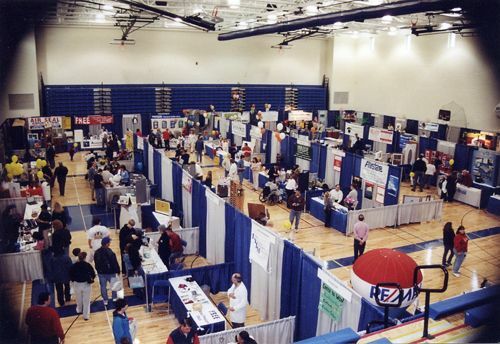 Do you need exhibit booths, tables, chairs and custom signs for your event in Buffalo Grove, 60089? 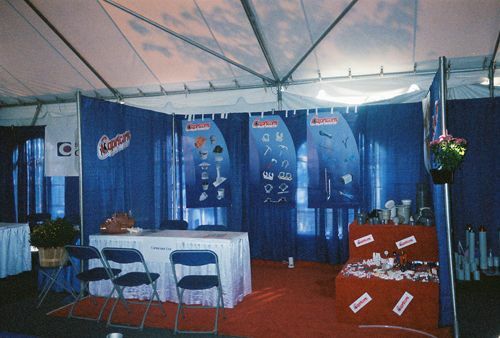 Whether you need one exhibit booth or hundreds, we can handle it with class and professionalism. 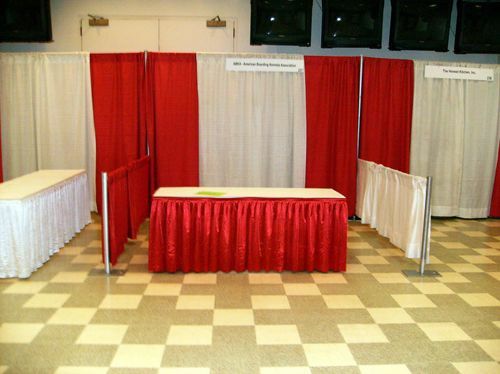 We provide specialty booths including Information and Registration booths. From the exhibit booth to the sound stage, we have the resources to make your Buffalo Grove, 60089 event a great success.